Le Club Accorhotels has a new offer for Miles & More (Lufthansa et al) members. You will earn 1000 miles for signing up and for staying once and 500 miles for subsequent stays. You can sign up for this offer here . This offer is valid for stays between April 1 and May 31, 2013. You need to activate the auto conversion of Le Club Accorhotels points to miles to be eligible for this offer. 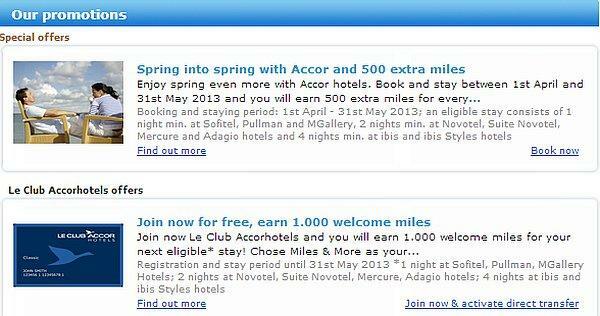 Accor seems to have few airline related offers going on at the moment and 500 miles for a stay is ok’ish.